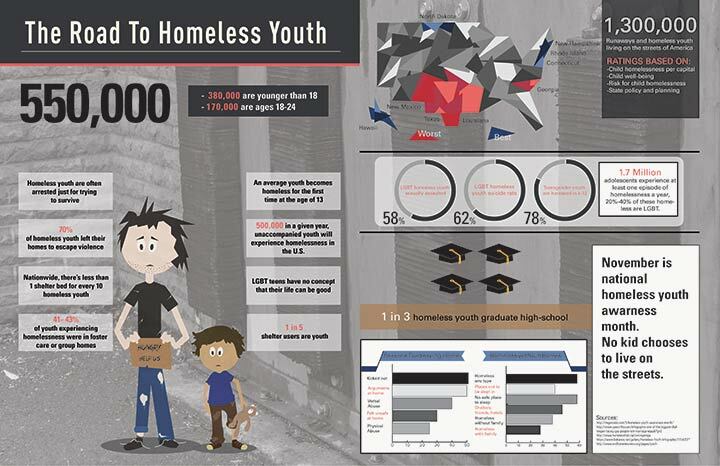 Of the 550,000 homeless Youth in America 69% are under the age of 18. People need to be aware and educated on how many homeless youth there really are. Our future is base on the younger generations “the kids”. So they don’t have to live on the streets without proper shelter, education, and health. 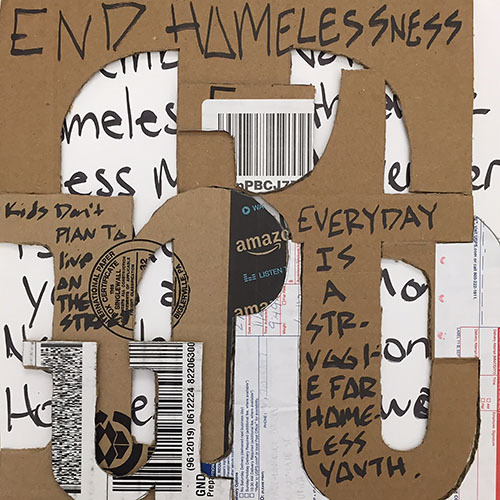 Everyday homeless youth are struggling to survive, and figuring out when their next meal is going to be. This Truth needs to be shared for us to. Marie-Laurence Daigle is a designer and painter. 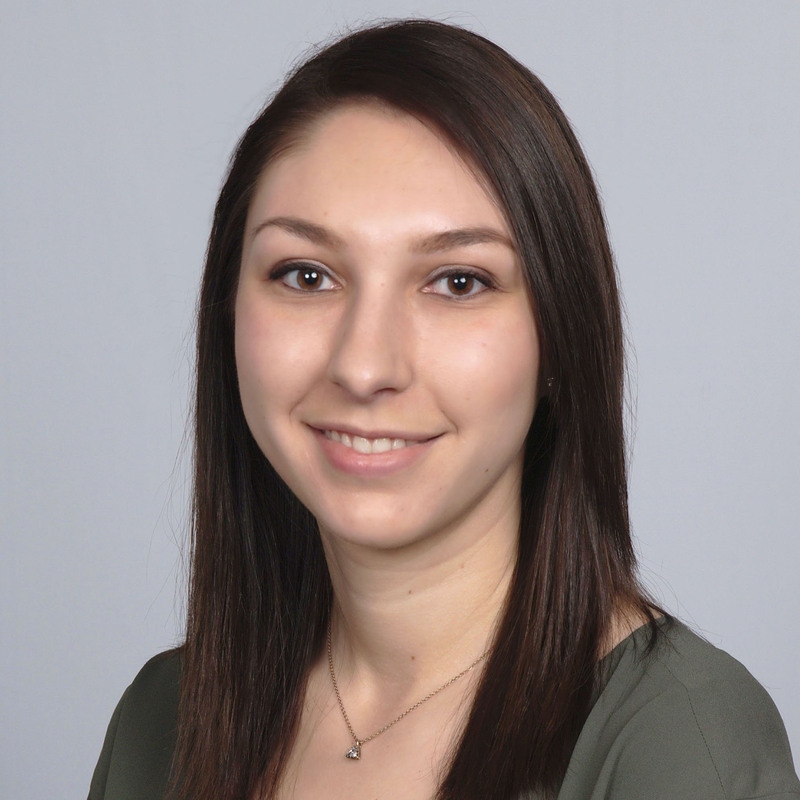 Currently she is a sophomore Communication Design student studying at PrattMWP, NY. She has a deep interest in working with many mediums such as Watercolor, Acrylic, Oil, Gauche, Charcoal, Printmaking, Photography, Graphic De- sign, sculpture and many more, making her a diverse artist. Her passion for creativity has led her to express herself in fine arts, outdoor murals and graphic design. She is influenced by many different abstract art-ists and modern designers. Marie-Laurence believes that her artwork pieces are based on what matters in life and what’s important to show the world. As an artist, she would like to create pieces that involve music and musicians; her dream is to create albums and posters for the music industry. As an artist she plans to spend her lifetime exploring colors, shapes, balance and rhythm in her artwork.